Credit card debt is a real concern for many Australians, and much more common than you might think. Research conducted by finder.com.au in 2013 showed that Australians owe almost $50 billion on credit cards, and $35.4 billion of that is accumulating interest. This number hit more than $52 billion by December 2014. That same research found that nearly 50 per cent of people in Australia are using their credit cards for necessities such as groceries, petrol and bills. 14 per cent of Australians are using their credit cards for emergencies. Credit card debt is a huge problem for our nation. Australians are using credit cards considerably more than they were ten years ago and despite a slowdown in growth, the nation’s total credit card debt is continually increasing. So how do you feel about your credit card? Is it your tool for purchasing your daily essentials? Do you use it to pay your bills? What about online shopping? Is your credit card your emergency fund? If your credit card is any of these things to you, it might be worth rethinking what your card really does for you. 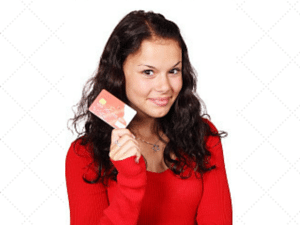 Check out 3 things your credit card is not – and 1 it is by Kristina of Dinks Finance.